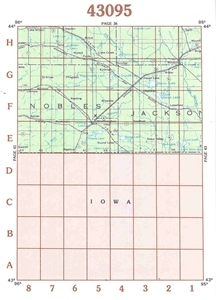 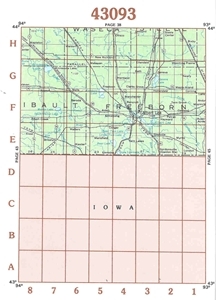 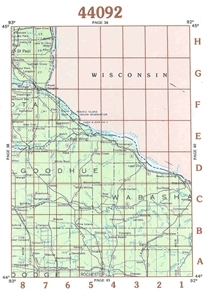 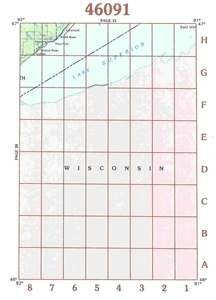 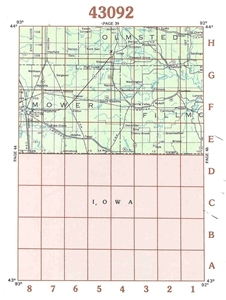 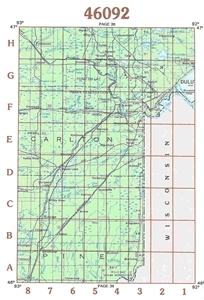 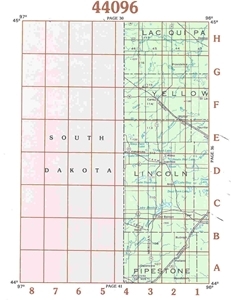 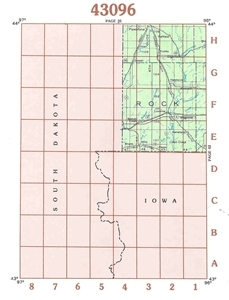 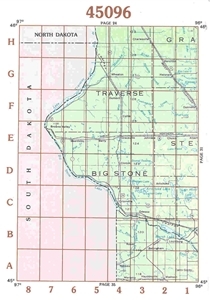 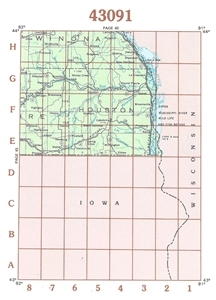 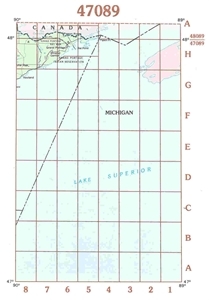 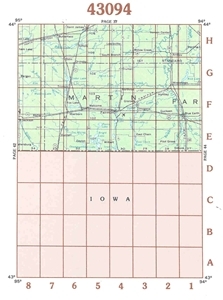 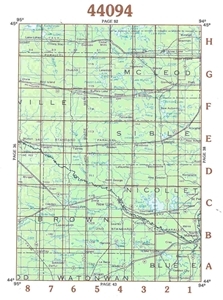 Use the below state location map, which is shown divided into 1 degree blocks of latitude and longitude, with each block identified with a specific area location map number. 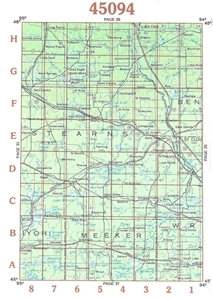 Find the corresponding map number in chronological product list far below. 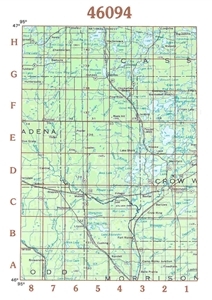 From there you will be able to identify the specific area of interest from that supplied map. 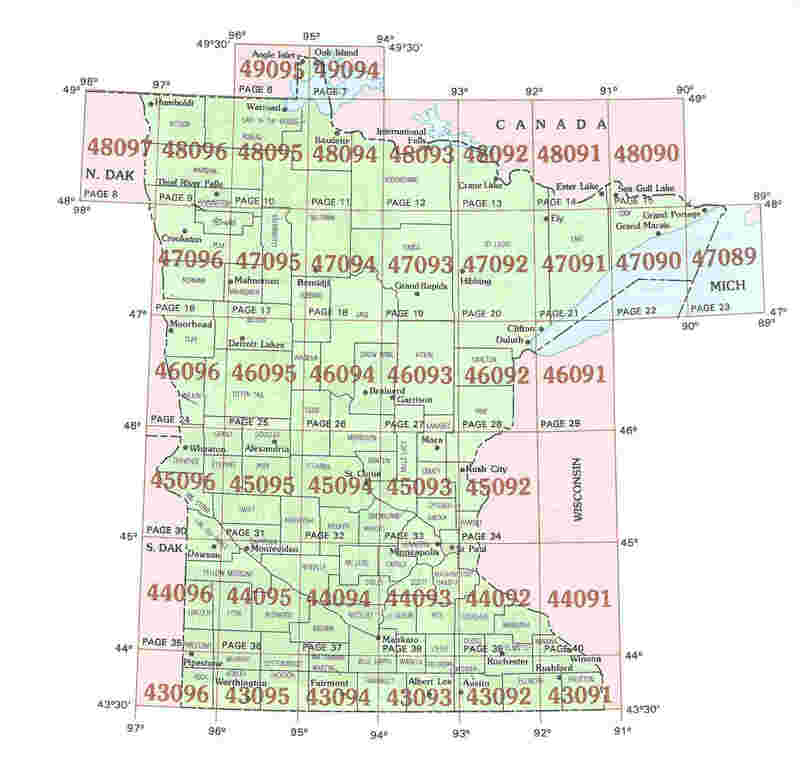 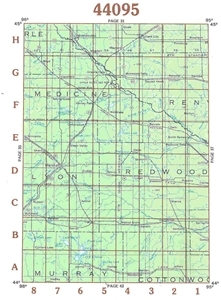 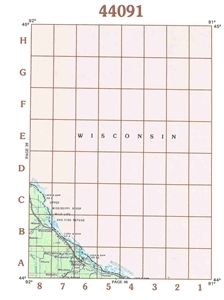 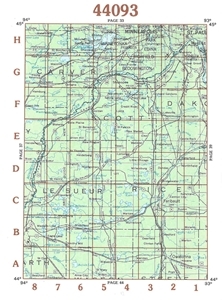 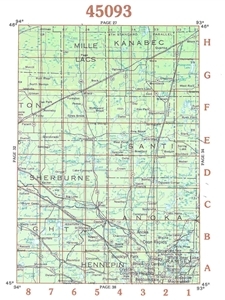 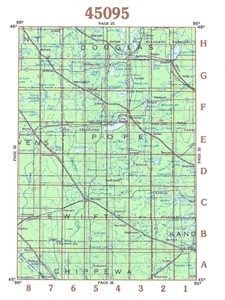 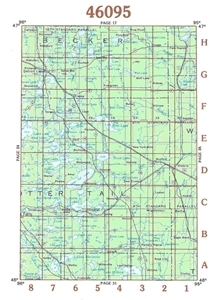 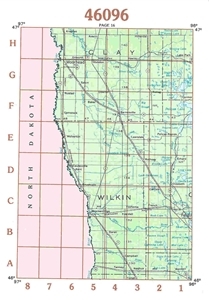 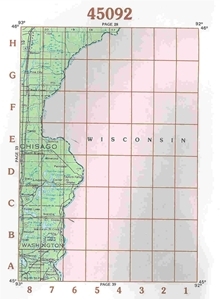 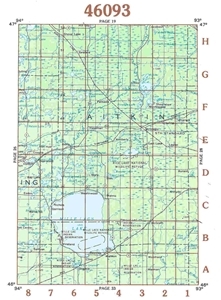 Index for 7.5 minute latitude and longitude topographical maps in this section of Minnesota.